Get A FREE Brochure from "Anniversary Inn"
The Anniversary Inn is the ideal hotel for your wedding night or honeymoon. It’s a total escape! Plan a little adventure, in the Mysteries of Egypt Suite or the Arabian Night’s Suite. 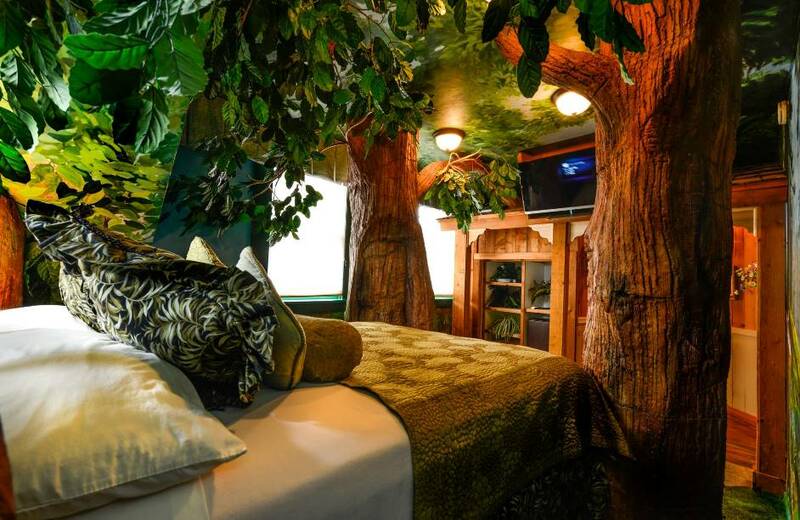 Sleep in a tree-house in our Swiss Family Robinson Suite or watch a movie on the big screen while lounging in back of a pick-up truck in Rich’s Drive-In. Want to go all out with hearts and flowers? 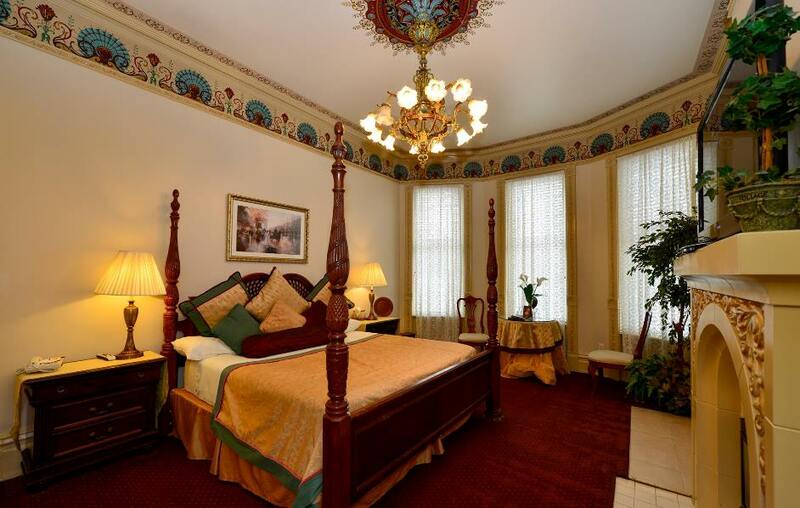 Pamper your loved one in our two story Juliet’s Balcony and Romeo and Juliet’s suites. 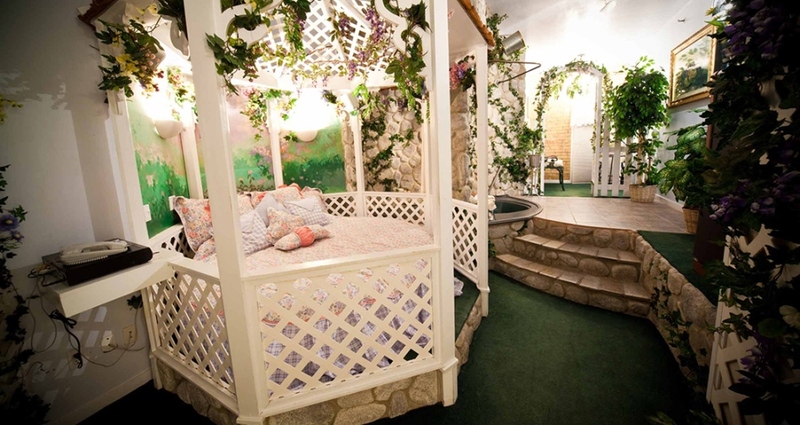 Sweep your loved one off their feet in Sleeping Beauty’s castle or Aphrodite’s Court. 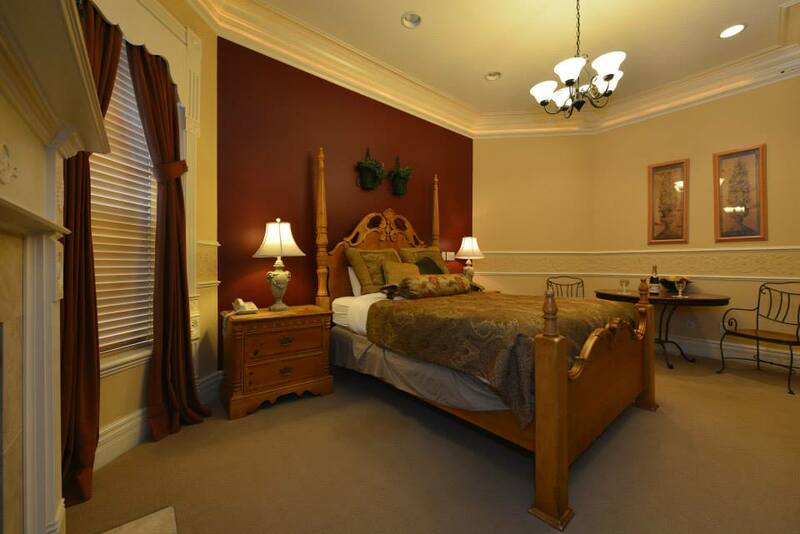 If it is romance you are looking for, you can really impress your loved one in any one of our romantic suites. Anniversary Inn, it’s like no other experience for your wedding night. It’s a touch of elegance…a hint of adventure…a place without interruption. Here you can find the perfect end to the perfect day. Visit us online or come and take a tour. Please mention this ad when you contact The Anniversary Inn! I booked the grand suite months in advance for my daughters wedding night. I confirmed in advance and the day of paid beforehand. My daughter arrived to find th room was occupied and that she still needed to pay for a room. They put th bride and groo in the Swiss family room, seriously wedding night in the Swiss family room and double charged. They also charg d then 8 for a bath bomb. When I spoke to management I was told sorry but you booked Swiss family even though my printed confirmation stqt d otherwise. I was offered 65 refund for my 500 charg, sorry that does not come close to returning what was taken, double payment and the destruction of a one time event. Not a friendly place, and not worth th money thbut headache and the dishonesty, run don’t walk away from this place. You have been warned. We apologize for the miscommunication in this reservation. 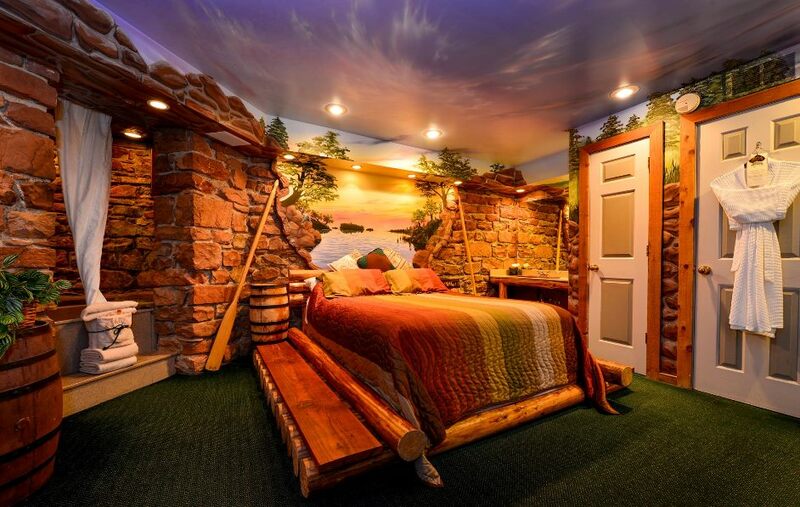 We do not know what precisely occurred, but added notes on the reservation said that someone called in mid-February to switch the guest from the Grand Suite to the Swiss Family Robinson Suite. When the father called in to pay for the reservation, it did not get notated on the reservation and the guest was charged again at check in. At the time this was brought to our attention, management looked into the charges to find the issue. When the issue was found the extra charge was refunded back to the guest’s card. We also added an additional discount for the mix up. 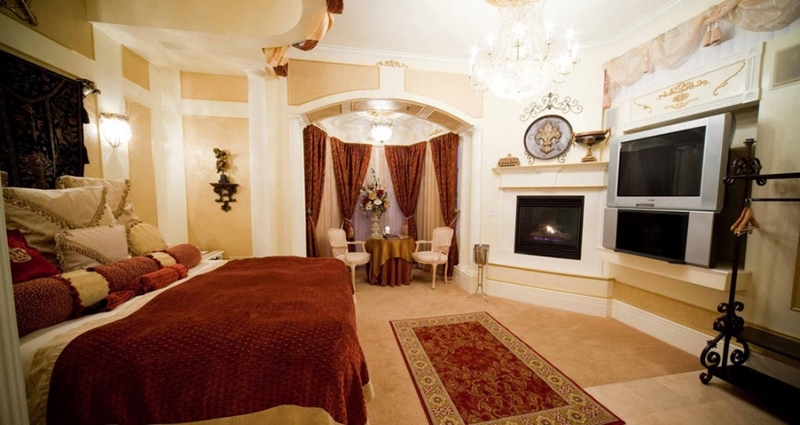 We did offer a comped stay to return for the Grand Suite, but that offer was refused. We did our best to resolve these issues in the best way that we could. We refunded the extra charge, gave an additional discount and offered a free stay. My wonderful employer gave us a $250 gift certificate to Anniversary Inn as an engagement present, so we decided to use the certificate for our wedding night. My husband is a smoker, and there are only two rooms with a balcony, so I picked the Presidential Suite. It did not disappoint. The room was great, but we absolutely loved the private balcony overlooking downtown. Breakfast was delicious. We have already booked the suite again for our 1 year anniversary in July (which we got for a STEAL at $150/night during their Christmas promotion)! A friend of ours got us a room as a wedding gift. 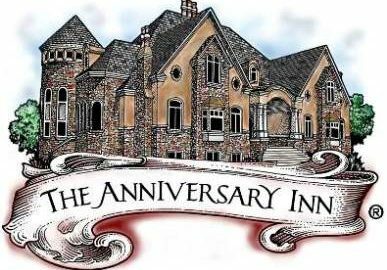 The Anniversary Inn had always had a special place in our memory... We returned for our 10th wedding anniversary and it lived up to those memories! We will absolutely be returning in years to come. This is hands down the best hotel I've ever stayed at! My husband and I try to come here at least 4x a year to keep our romance high.. And this place always sets the mood! We are loving the specials they have had lately! We stayed in the treasure island suite on our wedding night and have also enjoyed Romeo and Juliet, jungle safari, Egyptian room, and twilight meadow on 5th south. Then we did the meadow on south temple. Everytime we have had amazing and friendly staff and a super yummy breakfast. It is so romantic and fun in each room! We love the big jetted tubs and adventurous themes in each room. 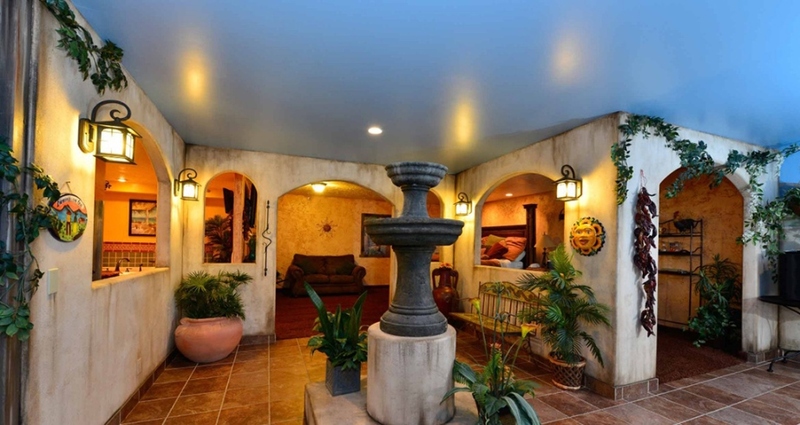 It's like a mini vacation getaway in each room. We want to try the Swiss family Robinson, the space one and the sea cave next! 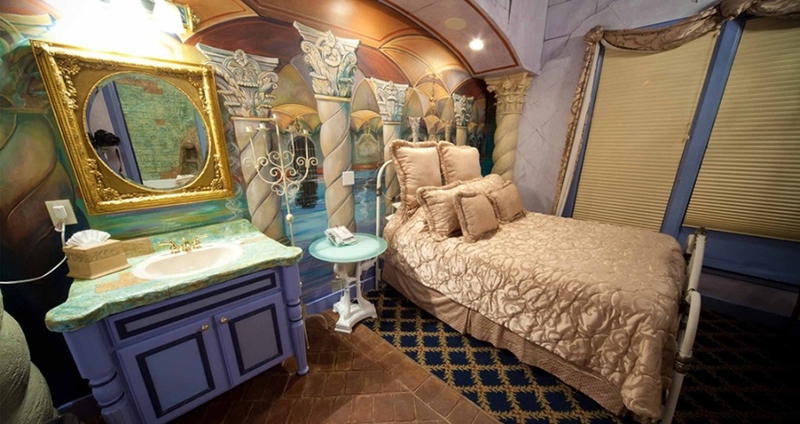 First night of our honeymoon, the Sleeping Beauty Suite is amazing! We've stayed at Anniversary Inn several times before, the experience has always been stellar, can't wait to stay again!